Finally the concept of LED lights is coming to a very mature stage, as special and exclusive fixtures and housings are being engineered. With the endless possibilities that this concept offers, one can push the foundries of design language when it comes to architectural lightning systems. Integrating new materials, shapes and illumination programs, this new technology is ever expanding throughout many industries. However, finding the right sort of light for indoor or outdoor pathways can be tricky, as the market is rather flooded by a great amount of types and styles. Quality varies widely, which makes it hard to find true satisfaction when it comes to path LED lights. Teaming up with the right partner can help to reach your final goal, and implement the best solution for your situation. We feel that for paths the colour and intensity of the light, as well as the design of the (garden) LED light fixture, can make the biggest difference to the ambiance of the space in which they are instalLED. Defining the route subtly and dimmed, or clear and bright, can influence the mood drastically. It is important to define the needs prior to choosing, so that we can achieve the best results possible. Ever thought of the needs of the people who are most likely to use the space that you are designing? Thinking in terms of age of the users, the time of they enter or exit the space, and the purpose of their visit all play a great role in the mood they are likely to find themselves in. Then we must anticipate, and decide if we want to stimulate or discourage that mood from further developing. For example the visitors of a hotel or restaurant might benefit from soothing warm colours, where employees of a factory may benefit more from activating, energizing influences with cooler bright tones. By means of choosing the right spectrum and brightness of the lights, the space can truly change its user’s moods. 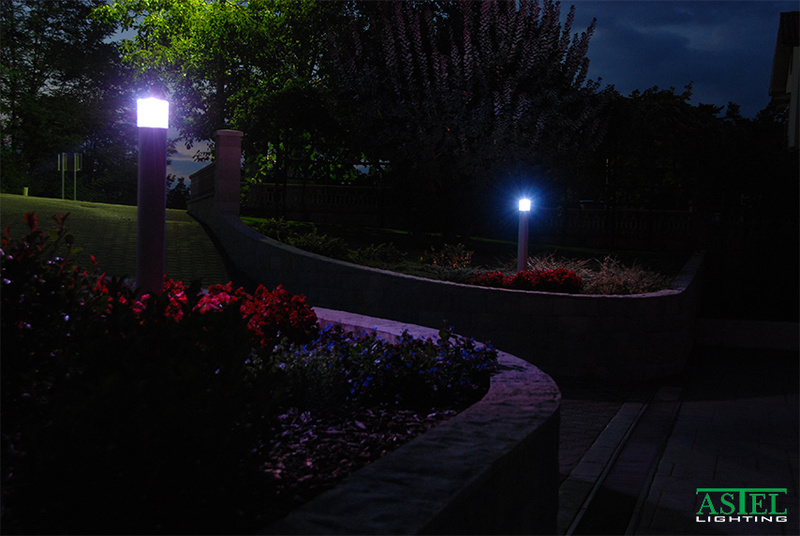 In subtle ways, we can help to gain productivity or create a more peaceful tranquil environment with the correct LED pathway lights. With the available colours Warm White, Daylight White, Cool White, Blue, Green, Red, Multi-Color RGB and Multi-Color RGBW, every desirable colour over the full rainbow spectrum can be created. With the simple touch of a button, the colours as well as the brightness may change. Adding your preferred type of operating system can make the functioning of your light program as simple or as complex as you want. A wireless interface for smart digital devices can be added, as well as manual operating switches for super easy operation. Remote controlling and digital dimmers allow for smooth functioning of the system, at maximum user-friendliness. Interesting designs of the fixtures allow for fine integration with the surroundings during the day, and are capable of placing the accents exactly where you want them to be during the darker hours. With up to three high powered LED lights built into each fixture, a breath taking brightness can be created with up to 3000 lumens of output. 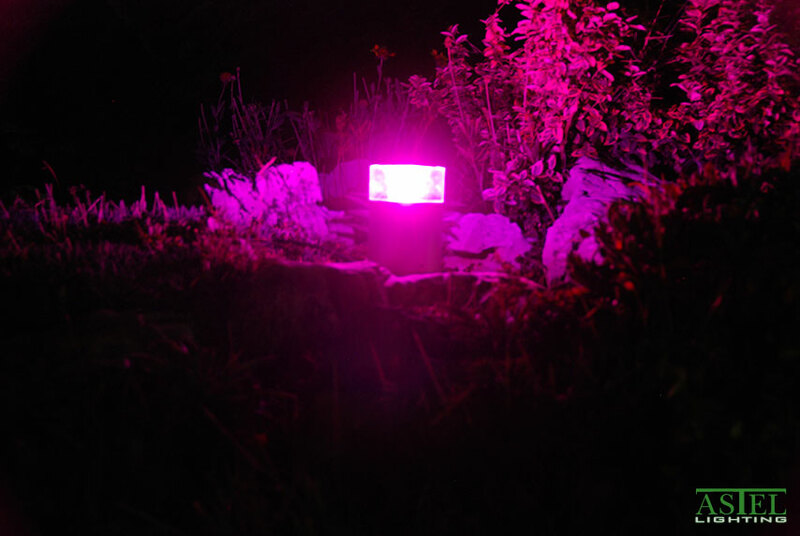 These LED path lights function on a low voltage, at 12V they are safe to install with ease in all situations. The low operating voltage and wattage, make for safe usage, very long lifespan of all functional components (wires, switches, fixtures etc.) and exceptionally frugal energy consumption. Smartly engineered fixtures allow for durability throughout many years after installation, making the investment much more then worth it. Not only the lifespan of LED lights combined with high quality fixtures helps save money, also the energy savings of these solutions will make a significant difference in the running costs. Compared to any other electric light source currently available on the market, LED is the best value on the long run. The initial price tag is quickly accounted for by the hugely increased lifespan, while cutting the energy consumption to a minimum. With conventional lightbulbs and halogen slowly disappearing from the market, they have finally made place for new innovations to come. The new era has begun for specialized, top of the line lightning solutions that are aimed at specific purposes. The specific environment and design of the place can now truly match, creating the most refined scenery. Precise directional fixtures, and efficient reflectors allow for maximum efficiency when it comes to how the light is spread and directed. On pathways, it is aesthetically pleasing to light only the path itself, or just the outlines and borders for easy navigation during the night with a minimum of light. Highlighting points of interest, or maximizing the efficiency with bare minimal outline lightning, all is now possible with extremely durable LED lights, which are able to blend into your project like no other.